"Trim, taught and terrific". 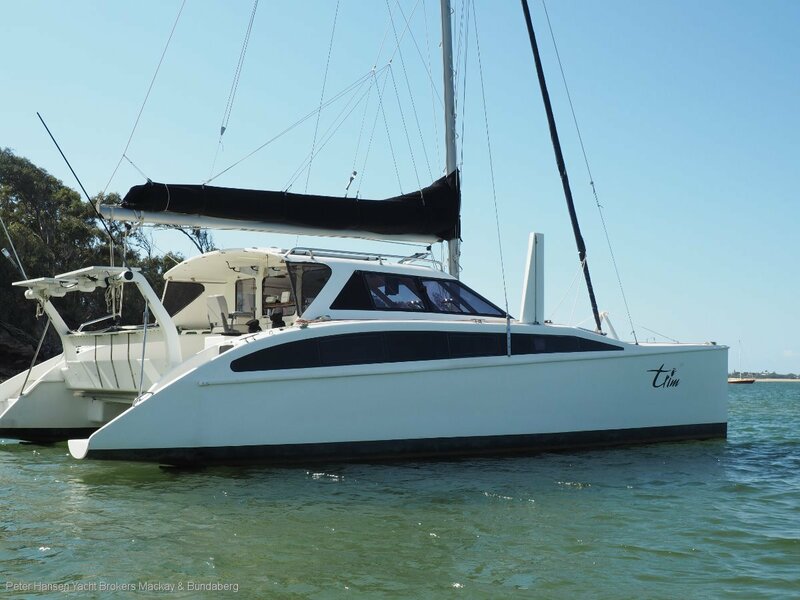 This lovely 10.5 mtr Catamaran by Adrian Rogers is a proven light weight and fast coastal passage maker. Ready to go now, she has quality sails, 2Kva Gen set, Maxwell electric anchor winch, 50mtr chain, Manson & Danforth anchors, 2.6mtr Grand RIB, 3 burner SMEV stove and oven, 12v refrigeration, electric head and much more. Full specs available from our Bundaberg Office 0498 026 291. Put this one on your list. Galley: Galley Up. See inventory for more details.